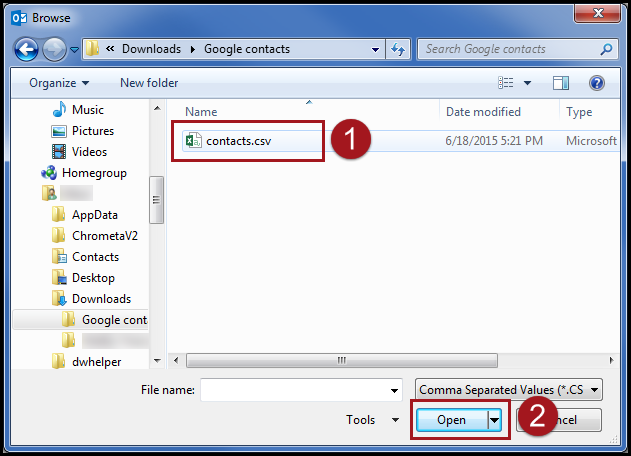 Step 1: Open your Windows Contacts folder by clicking the Windows button on the bottom left hand side of your desktop and typing "contacts" in the search bar. 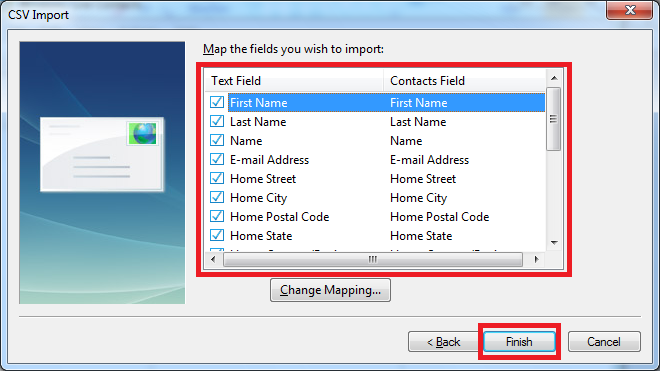 Step 1: Click on Import, and then click on the type of format you have selected for your contacts. 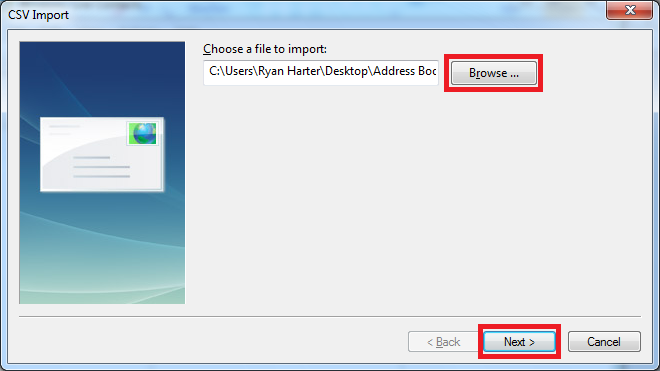 Step 2: Once you have selected the Comma Separated Values it will bring up the CSV Import window. Here you will need to select the file location by clicking on Browse. Step 3: Here the file browse window will open, from here you will need to select the location of your CSV file that you saved, then click Open. After you click open it will take you back to the CSV Import window, and click on Next. Step 4: Next, you will be brought to the Map Fields window. Here you will be able to select the fields that you want to import. When you are done linking the field names, click Finish to complete the Import. The Contacts application's entire purpose is to store contact information and make it available to you on your iPad. But first, you have to make that information available to your iPad. 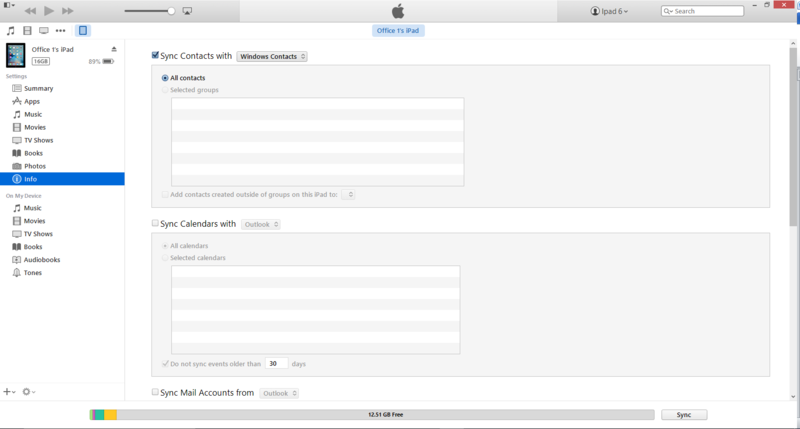 You can use your iTunes account to sync contacts between your e-mail accounts and your iPad Contacts application. Step 1: Connect your iPad to you computer. Step 2: The iTunes window opens on your computer. Click on the iPad (highlighted in blue below), which is now listed in the iTunes source. 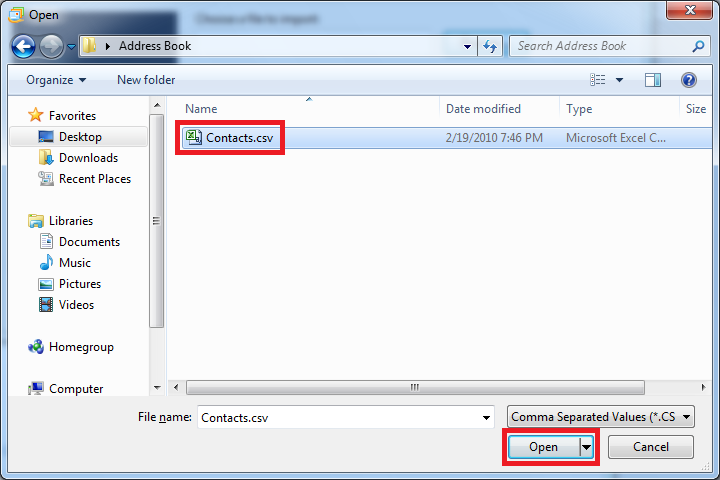 Step 4: Click the Info tab, select the Sync Contacts check box, and choose windows contacts. Step 5: Click Apply. The first time you do this, a dialog appears asking if you want to Merge or Replace contacts on the iPad, Click the option Merge. 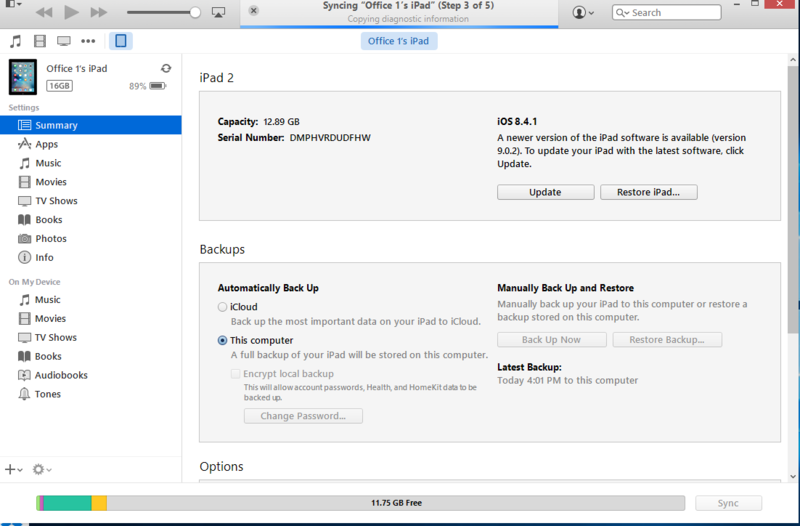 Step 6: After any changes are applied, the Apply button turns into the Sync button, and your iPad screen changes to show that syncing is in progress. When the sync is complete, you can open Contacts on your iPad to see all your contacts have been imported.